Thank you for your interest in the competitions at AAEM19! Below you will find answers to some frequently asked questions. If you have a question about the competitions that is not addressed here, please contact Rebecca Sommer at rsommer@aaem.org. Submitters received notification emails on January 7 and 8, 2019. If the message is not in your inbox, please check your spam or junk folder. I had colleagues and residents contribute to my submission. Do you need their names too? No, you don’t need to send us the names of co-authors or co-contributors. We only need one person’s information to serve as a point of contact. You can certainly acknowledge your co-authors or co-contributors on your final poster. Do I need to register for AAEM19 to participate in the competition? Yes, if you are invited to participate in the competitions at AAEM19, registration is required. You can register by phone at (800) 884-2236 or online. *Registration is FREE for AAEM and AAEM/RSA members with a refundable deposit. Do I need to send a final copy of my submission prior to AAEM19? No, you don’t need to send us anything further. 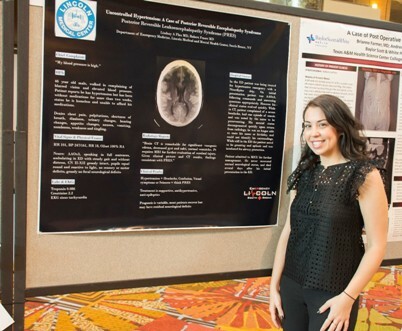 It’s your responsibility to print the poster and bring it to AAEM19. Please make sure there are no patient identifiers on your final poster. Am I doing an oral presentation, or am I hanging a poster? If you were invited to participate in the AAEM/RSA & Western Journal of Emergency Medicine Research Competition, you will be doing an oral presentation only; you do not need to bring a poster. If you were invited to participate in the YPS Poster Competition, you will be hanging a poster only; you do not need to prepare an oral presentation. If you were invited to participate in the Photo Competition, you will be hanging a poster only; you do not need to prepare an oral presentation. If you were invited to participate in the AAEM/JEM Resident and Student Research Competition, please refer to your invitation email to determine if you are selected for oral presentation or poster presentation. 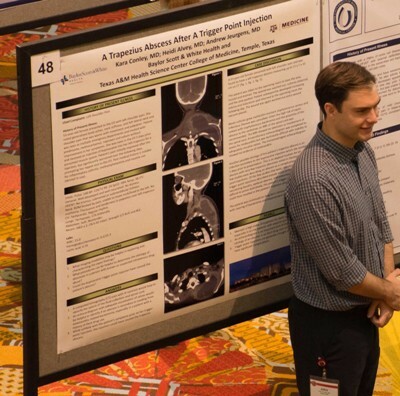 The top 8 abstracts are selected for oral presentation at AAEM19; all other abstract submissions are invited to display their research as a poster. If you are selected for oral presentation, you do not need to bring a poster. When will the judges review my poster? The judges will be stopping by the poster displays at their convenience between 8:00am and 5:00pm; there is no set time for judging. Some of our judges are also AAEM19 speakers, so they will be judging as their schedules allow. Do I need to be physically present with my poster throughout the conference? No, you don’t need to be physically present with your poster throughout the conference. Some people like to do so for networking purposes, but it isn’t a requirement. Feel free to attend the lectures and social events at AAEM19! What size should the poster be? Can I print my poster onsite? Yes. If you don’t want to travel with your poster, you can take advantage of printing at the FedEx Office Print & Ship Center within Caesars Palace. Please contact Emily Dahle at (702) 650-0462 or emily.dahle@fedex.com for special pricing of $80 if you send your file at least 5 days in advance. What should my poster look like? 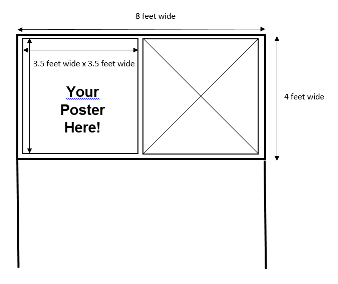 The layout of your poster is up to you. 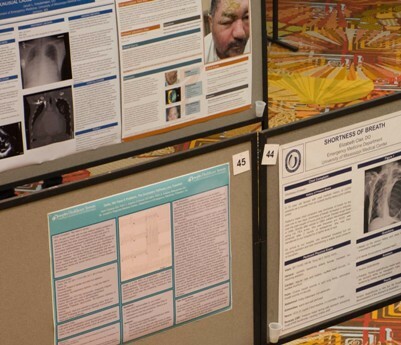 Below are some photos of the poster displays at AAEM17 in Orlando, FL.